The van Nagells' Boone Valley Farm provided a splendid setting for an unusual training tactic by Iroquois huntsman Lilla Mason. Photo by Dave Traxler. DRIVER and some of the BA puppies took it amiss when their huntsman, Lilla Mason, stopped walking out with them on foot and came out on horseback this past week. It’s a change that signals a transition from gentle, summertime on-the-ground training to faster-paced fitness work, but the year-old males weren’t so sure they liked this new way of doing things. They pouted and avoided looking up at her, even as their sisters went about business as usual. 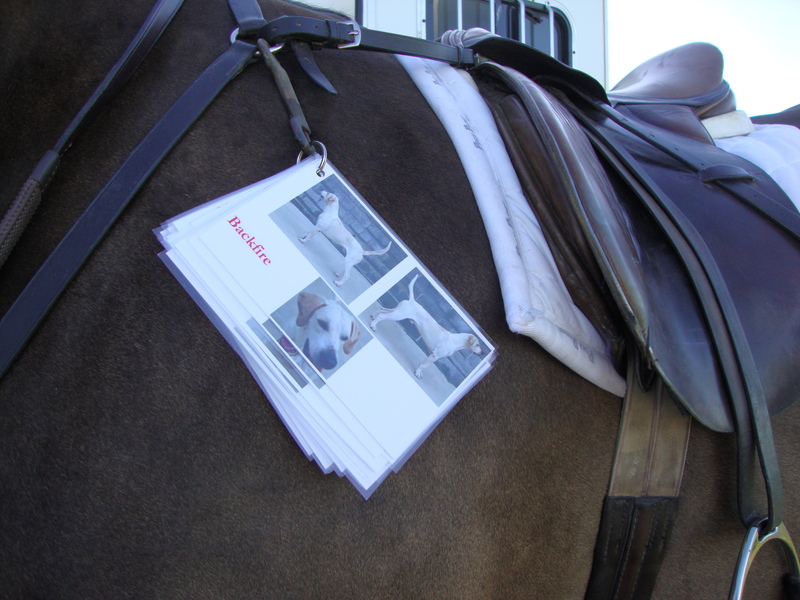 One regular follower found a good way to keep her flash cards with the hounds' pictures handy! Bonsai says hello to Lilla during hound exercise on Sept. 5. Photo by Dave Traxler. To reconnect with the year-old males, to “get their eyes” again, Lilla employed an unusual tactic at Boone Valley last Saturday. 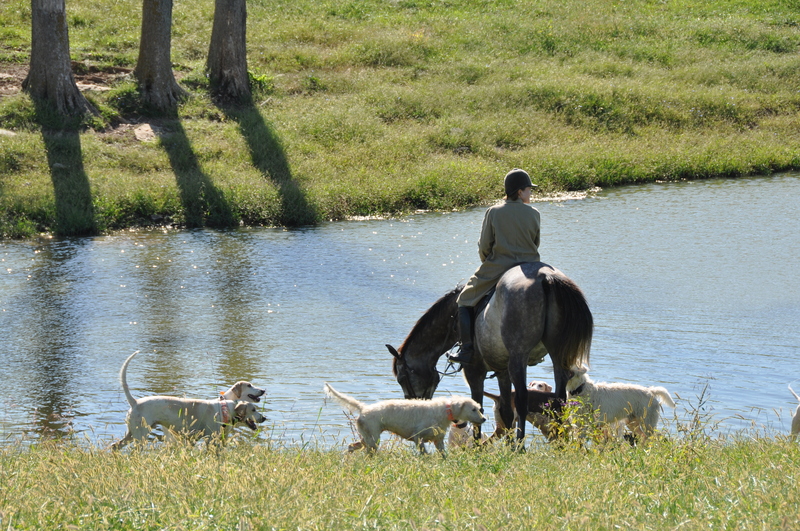 Instead of riding immediately, she started off the exercise by leading her horse as she walked with the hounds. The idea was to get the young hounds to associate her with her horse–in this case Bonfire–and to know that she is still the same leader she was for all those summer walks. This also let the puppies, male and female, get used to working close around Lilla’s horse. 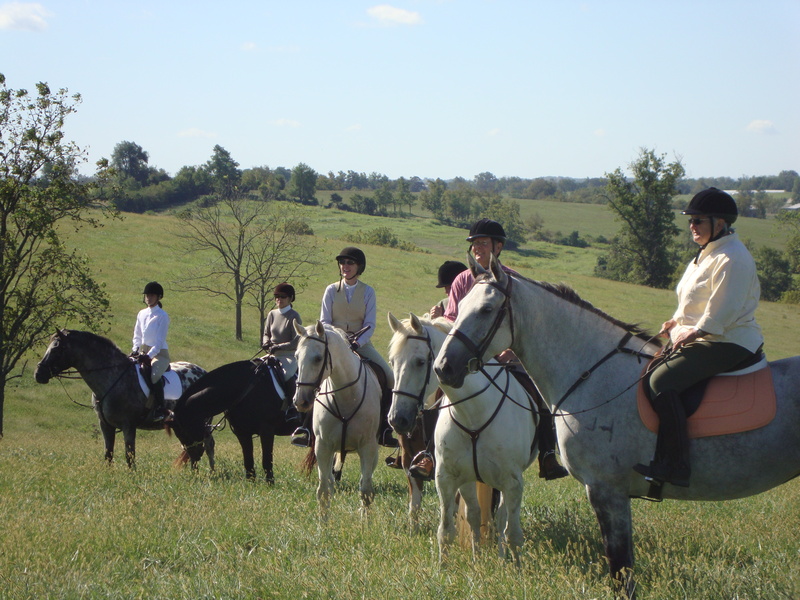 As she and the hounds made their way around Boone Valley, Lilla alternated riding with walking, giving the once-pouty males every opportunity to see her on horseback while also letting them know that she is still among them and paying close attention to them. The hounds seemed to be learning this lesson. And was there anything new that Lilla learned about them? 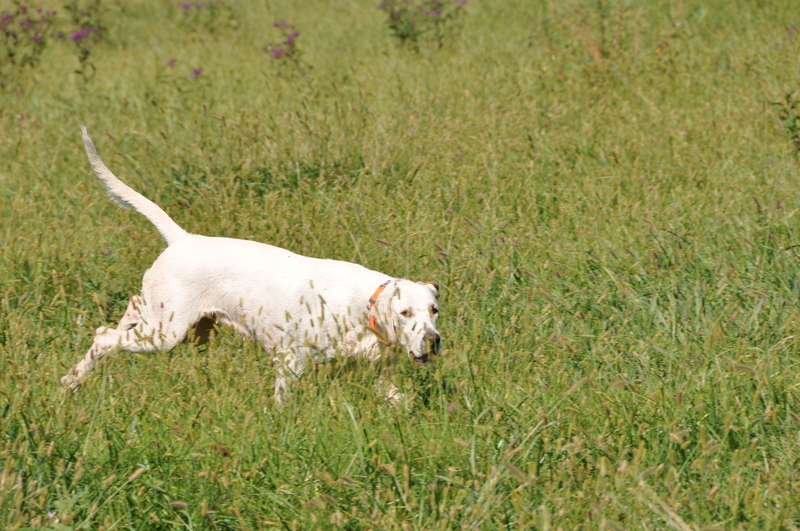 Tall grass and windy conditions were additional challenges for the hounds. Now that Lilla is generally on horseback with the hounds, the puppies also must learn to be comfortable farther away from her, while still tuning in to her and coming back when called. Developing the trust to allow the hounds to work farther away is not always easy, but it’s critical for a hunt chasing the fast-running, wide-ranging coyote. Summer is finally beginning to turn into fall. The cooler temperatures are providing better scenting, and as the scent improves and hounds get fitter, the pack is readying to hunt. They got a chance during their last walk at the hog lot, where, suddenly, the older hounds in the group struck off in full cry on a hot coyote line. The puppies, who have yet to go hunting, knew there was some great excitement afoot … but what, exactly? When the older hounds stopped speaking and Lilla called, the puppies immediately headed back toward her. But when the older hounds spoke again, the puppies halted in their tracks, then heeded the sound of their packmates. “They know they want to be over there where the older hounds are speaking,” Lilla said. “Every time the older hounds would make a lose and go quiet, the puppies would come right back to me. But when the older hounds would speak again, they’d go running over to them. IROQUOIS has a lot of horses that are named for hounds. Joint-MFH Jerry Miller always has named all his horses for hounds, not all of them Iroquois hounds. 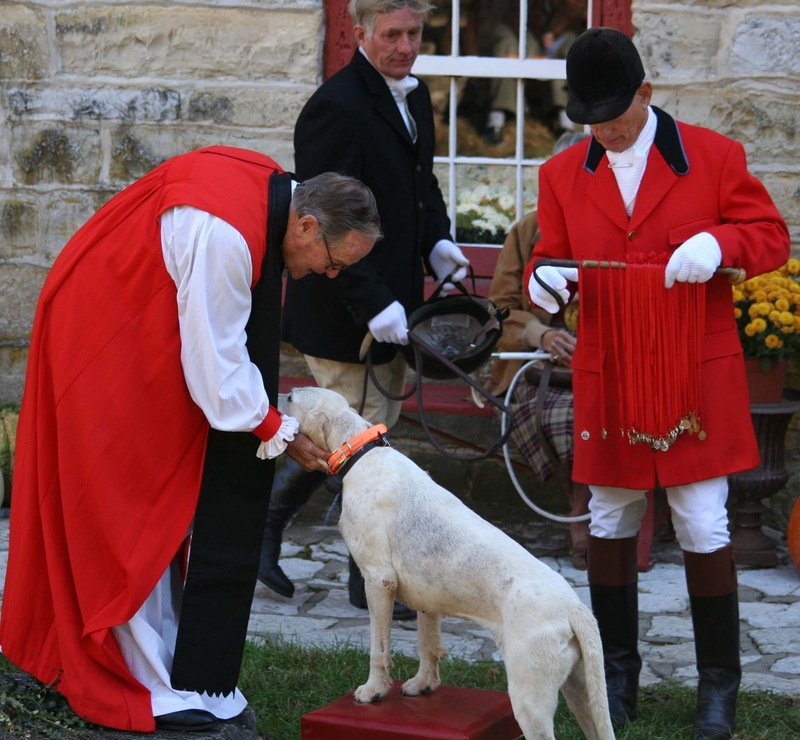 Miller’s great hunt horses Furrier and Tennessee Lead, for example, were both named for famous hounds from history. (Furrier was described as “crooked as a crab’s claw” but the black and white Belvoir-born hound “ran hard at head and was as stout as oak” in his career with the Quorn and Brocklesby, according to author William Scarth Dixon; Furrier went on to become not only a famed hunting hound but also a renowned sire). But many of Miller’s current horses–such as Gangster, Farmer, Bonfire, and Grundy–are named for Iroquois hounds of the recent past. A few are named for hounds that are still with us, such as Stalker (pictured above with his equine namesake). 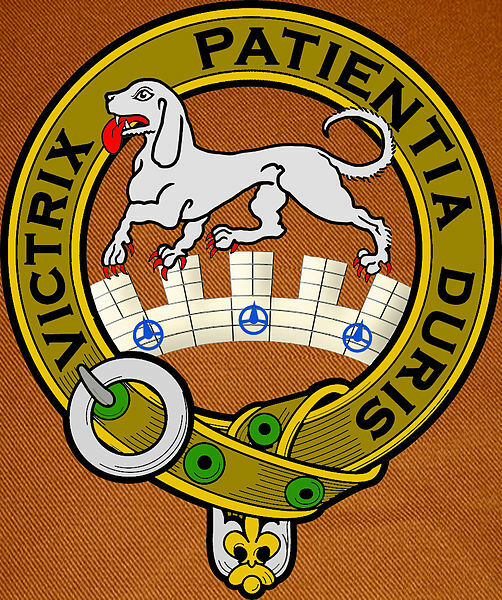 Now retired under the auspices of the Hound Welfare Fund, Stalker is the fourth hound profiled in the “Meet the Hounds” link provided with his name above. 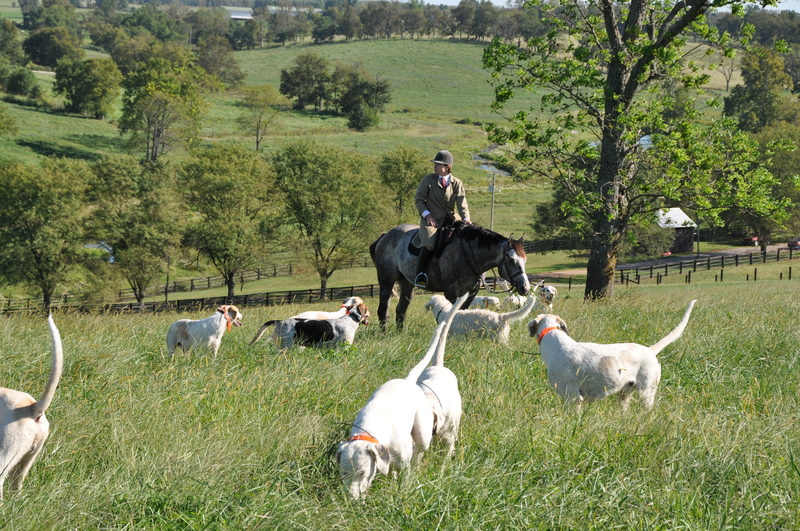 The Iroquois field secretary has a hunter named Harlequin after her favorite hound, the Hound Welfare Fund’s retiree of the year for 2009-2010. 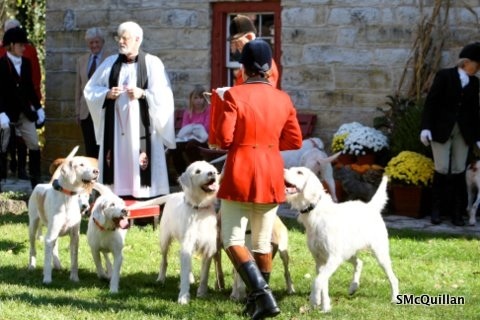 Members of the field also have honored hounds by naming horses after them. I understand one of our accomplished young riders has a horse named Glog, just as Iroquois has a hound named Glog. Willy, if you’re out there, send us a photo of your horse! If you’ve got a horse who shares a name with a hound, please e-mail beagle52@aol.com. Tell us why you chose the name you did and a little about your horse. If you’ve got a picture of your horse, send that as a JPEG file, too, and we’ll post it. I’ll get the ball rolling. My horse, Sassoon, and the hound Iroquois Sassoon ’04 both were named for the English writer and World War I soldier Siegfried Sassoon. He’s best known for his poetry about the war, but he also is the author of the sporting classic Memoirs of a Fox-Hunting Man. I got my Sassoon in 2003 from the Thoroughbred Retirement Foundation. The same summer, Jerry gave the name Sassoon to the only male puppy in that year’s litter by the great Iroquois stallion hound Grundy and out of Bicester Sandal. The hound Sassoon was entered at Iroquois in 2004, the same year my Sassoon hunted his first full season. Iroquois Sassoon ’04 has gone on to fame and fortune! 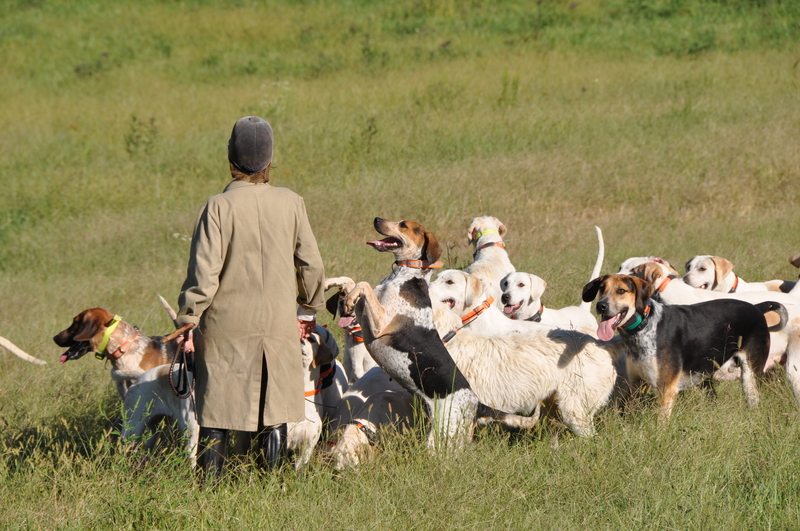 He won the foxhound championship at the Mid-America Hound Show a couple of years ago and has turned into an exemplary hunting hound. He’s easily recognizable in the hunt field, because he’s large and woolly. My Sassoon has had a more up-and-down path. In 2005, just before the start of what would have been his second full hunt season, Sassoon got a tiny puncture wound underneath his fetlock while he was turned out. The puncture went into the tendon, infecting the tendon sheath, which then required four surgical tendon flushes and a stay at Hagyard Equine Medical Institute. We weren’t at all sure he’d survive, but he did. Then we were pretty certain he’d never be rideable again, but he surprised all of us by coming all the way back. It was a long recovery, but in 2008 my vets declared him hunting sound again. He had missed two full seasons when I took him out again last October for the first time since his injury. He’d been off so long, I put a green ribbon in his tail to let everyone know he might be unpredictable. That morning I overheard another rider remark, “She’s saying that horse is still green?” That seemed unkind, but then she didn’t know the full story! Sassoon doesn’t get out hunting as much as either of us would like (this really is true, according to a “horse psychic” I met at a horse sale the other day! ), but he’s a great pleasure in my life, as I’m sure your horse is, too. By the way, Siegfried Sassoon died in 1967, but his son George carried on his father’s support for hunting. 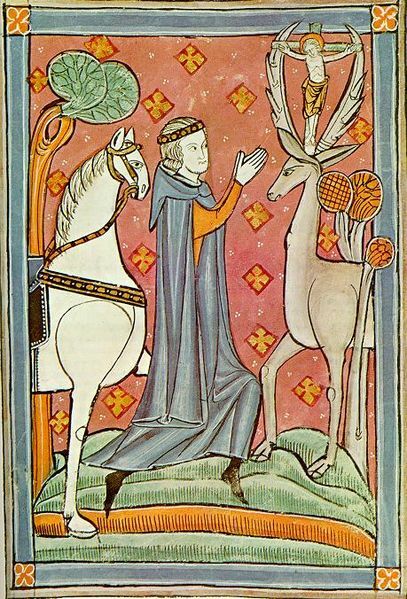 When the foxhunting ban was debated in England, George and his stepson put pro-hunting signs on the family’s pasture fencing. 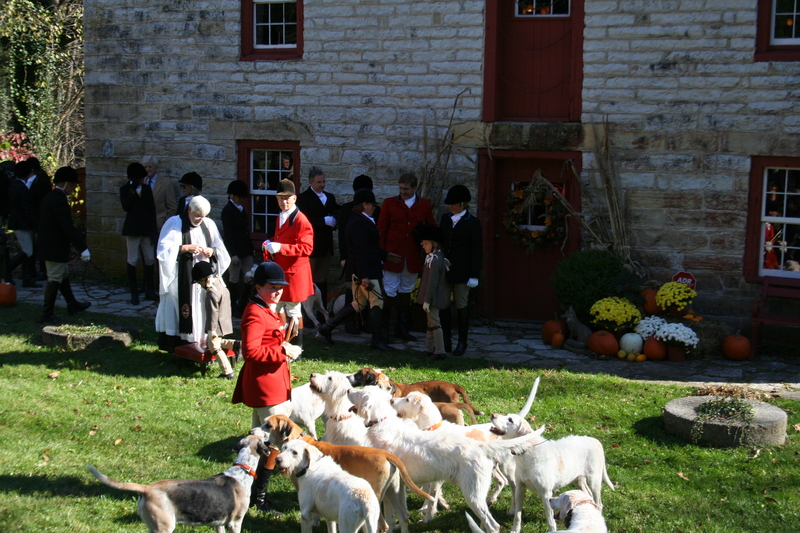 The day the ban went into effect in 2005, George attended a local hunt’s first post-ban meet for drag hunting. He was too frail to ride anymore, but he wore a Countryside Alliance sticker (and an old Soviet army hat!). George Sassoon and his furry Soviet hat attended a local drag-hunt meet in February 2005 after live fox-hunting was banned in England. He thought it was both flattering and amusing that there were canine and equine Sassoons hunting across the Atlantic in Kentucky! George, a farmer, engineer, and linguist, died in 2006 after a remarkably interesting , though sometimes turbulent, life. After his funeral, the attendees gathered in in his regular pub. One of his pals at the bar, on hearing I was from Kentucky, said, “That’s where they’ve got that hound and horse called Sassoon!” I got a kick out of that, and I guess George did, too.